The St James’s Place Barbury International Horse Trials is held at Barbury Castle in Marlborough, Wiltshire. This year’s event takes place 6-9 July 2017. Situated in an area of outstanding natural beauty, overlooked by an Iron Age hill fort, it’s a wonderful place to compete and spectate. Designed by Captain Mark Phillips, the cross-country course utilizes old turf gallops, and promises good going across well-drained chalkland. The event’s future had looked to be hanging in the balance when the news broke that Barbury Castle Estate had been put up for sale by former owner Nigel Bunter. However, following the sale of the estate to Chris Woodhouse, the Event Rider Masters (ERM) team has now been appointed to manage and run the horse trials in 2017, with Martyn Johnson of ERM as the event’s director. The event is one of the most prestigious CIC3*s in Britain, as well as running CIC2* and novice classes. It will once again host the third leg of the Event Rider Masters series in 2017. The first running of the CIC3* here in 2005 was won by William Fox-Pitt and Ballincoola. 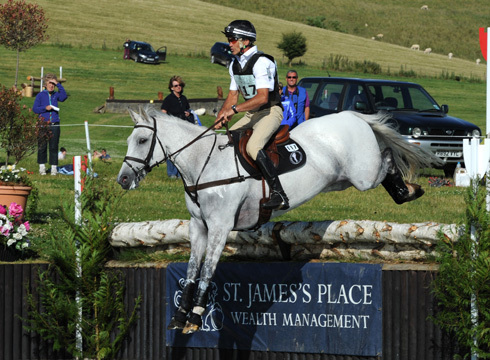 But Andrew Nicholson has been by far the most successful rider at Barbury, taking the showcase class every year from 2012 to 2015 with Rosemary Barlow’s now retired Avebury, and was crowned the ‘King of Barbury’ for the fifth time when winning the third leg of the ERM riding Nereo in 2016. Other past winners at Barbury include Nicola Wilson on Opposition Buzz (2010) and Piggy French on Tinkas Time (2013). Many riders and nations use Barbury as a final selection trial or for a last run before championships. What's the record finishing score at Barbury? Who was the first person to make the time?